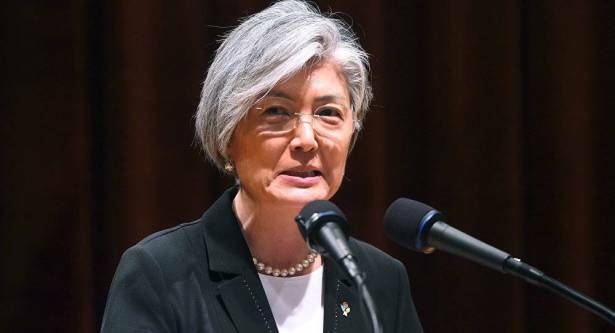 South Korean Foreign Minister Kang Kyung-wha will come to Russia with a working a visit on Thursday. The visit is expected to last through Friday, when Kang is set to meet with Russian Foreign Minister Sergey Lavrov. "The ministers will discuss the situation on the Korean Peninsula and Northeast Asia, including in the context of the efforts to defuse and reduce tensions in the region," the press service of the foreign ministry said. The situation on the Korean Peninsula has become aggravated in recent months due to Pyongyang's missile launches and nuclear tests, all conducted in violation of the UN Security Council resolutions. In late June, Beijing proposed a "double freeze" scenario, in which North Korea ceases its nuclear missile tests, while US-South Korean military drills are simultaneously halted. The initiative has been backed by Moscow but rejected by Washington. Pyongyang, however, has not yet issued an official response on the matter. On August 5, the UN Security Council unanimously adopted Resolution 2371, which further tightens sanctions imposed on North Korea.